CMG logo; Cwmdu Meadow Walk Species Lists; Report on Myddfai Autumn meeting. Everyone will have heard about how companies often re-brand and spend millions on new logos. So it’s really exciting to be able to include the newly agreed CMG logo above. And explain that it didn’t cost the group any of its funds, since it was designed with great skill and flair by Laurence, one of CMG’s steering group members. (In fact the version above is a little stretched vertically to fit it into the header space – the normal logo is at the base of the page). The actual process took several months of patience, tweaking, discussion and appraisal, but in the end got unanimous approval from the steering group, and will appear in future on CMG information. Laurence also organises the group’s facebook page, so we’re very grateful for all his hard work on this. We thought it reflects many of the ideas of what we think are important about wildflower meadows, and hope that you like it too! 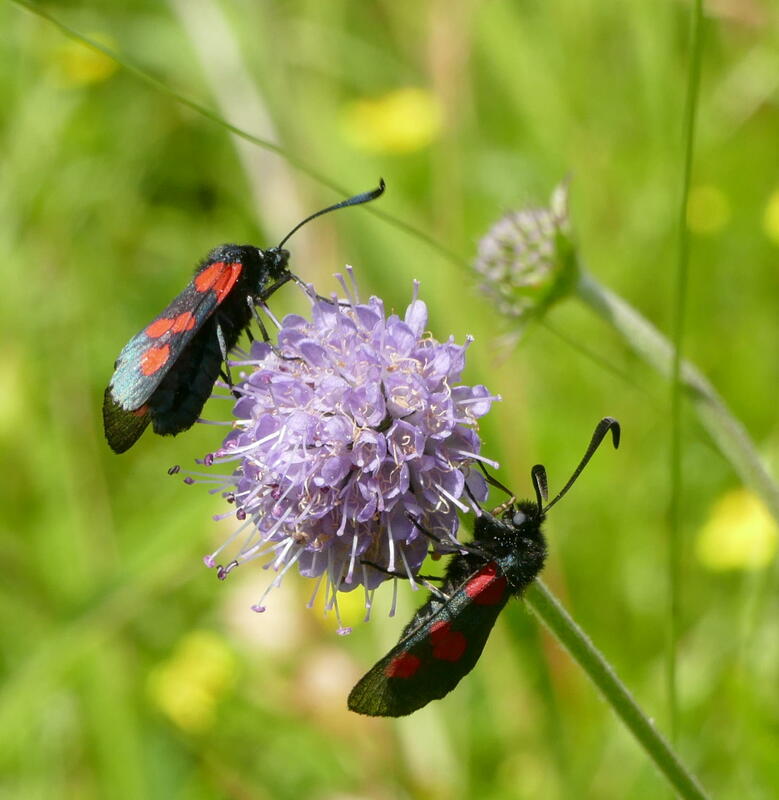 As always we’re really delighted and indebted to Richard and Kath Pryce for their very detailed report on the species which they recorded during the CMG meadow walk at Cwmdu this year. On possibly the hottest day of the year, when most of us were taking in the views and floral spectacle, Richard and Kath were beavering away and recording 158 different plant species. A huge amount of work then goes into typing all of this up, and I’m sure you’ll all enjoy scrolling through the details below. For any new readers I should point out that Richard and Kath are the county’s botanical recorders, and time permitting, are always interested in visiting member’s meadows to carry out similar surveys, though obviously these tend to occur during the spring and summer months, when most plants are in flower. Richard’s contact details are on the pdf. 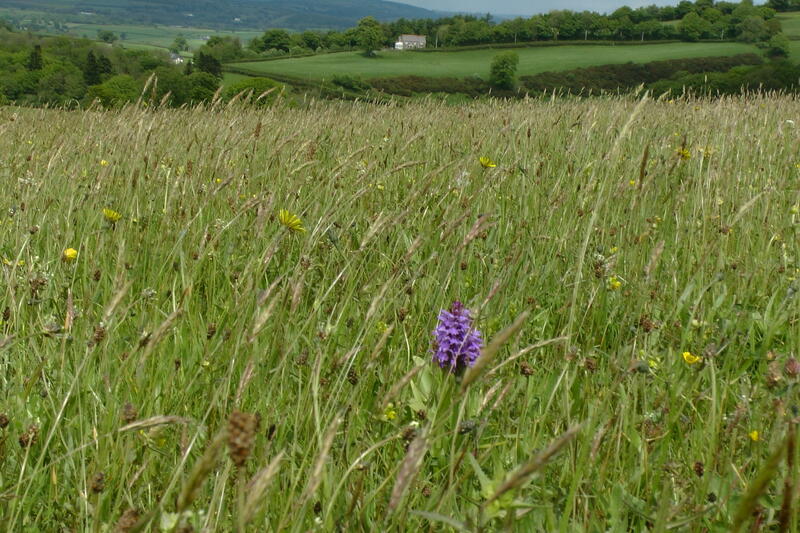 The report gives an idea of just how diverse the flora can be in a long established Carmarthenshire wildflower meadow. Please click below and their pdf report should open in a separate window. 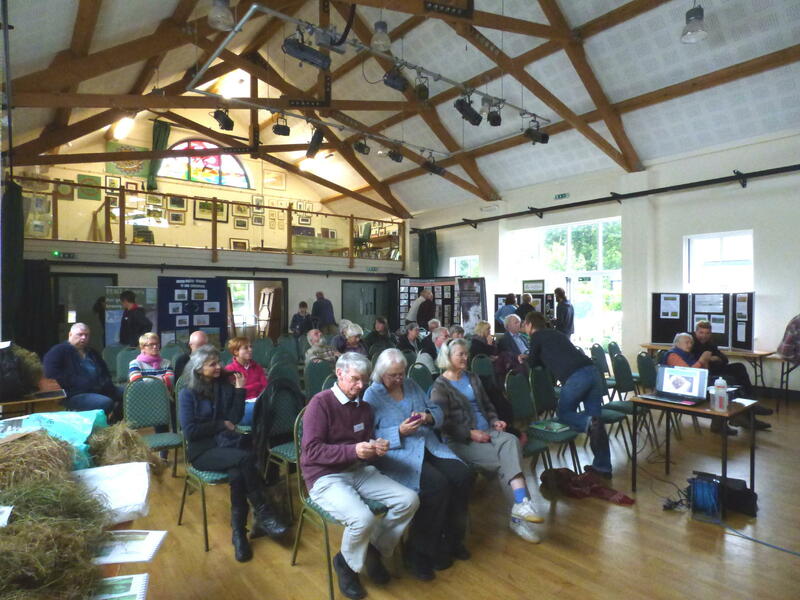 Last Saturday was our autumnal meeting, and once again held in the lovely hall at Myddfai. Around 55 members and visitors attended (a few later arrivals makes numbers a little vague !) and were treated to a couple of excellent talks, with our Chairman Andrew Martin, keeping the event running smoothly. Jacqueline pointed out that they differ from any other British rodents in a number of ways…having a furry tail; being the only species to truly hibernate as well as being able to enter a self induced state of torpor to cope with occasional inclement weather or food shortages; having different teeth with more molars and lacking a caecum so they can’t digest fibrous foods. They therefore depend on fruit, nuts, pollen and occasionally invertebrates as food sources. They are territorial animals and will weave nests at varying heights above ground, during both summer and autumn, with individuals travelling up to 70 metres from each nest once in use. They typically hibernate from December to February, with occasional periods of activity in March or April, but most activity and breeding takes place from mid May into the early autumn, when suitable food is most available. 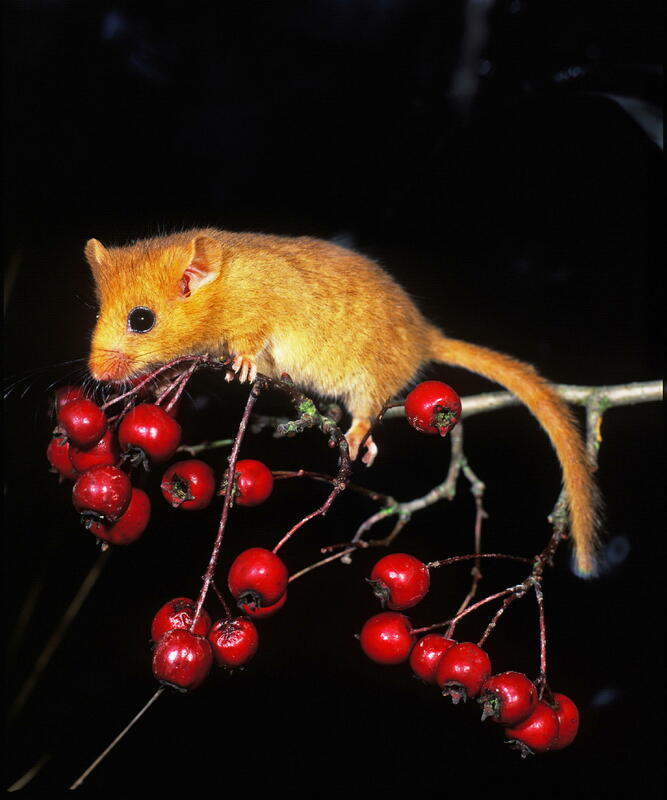 Their life is adapted to an arboreal existence and typical habitat will include mature or semi mature hedgerows bordering woodland or meadows. 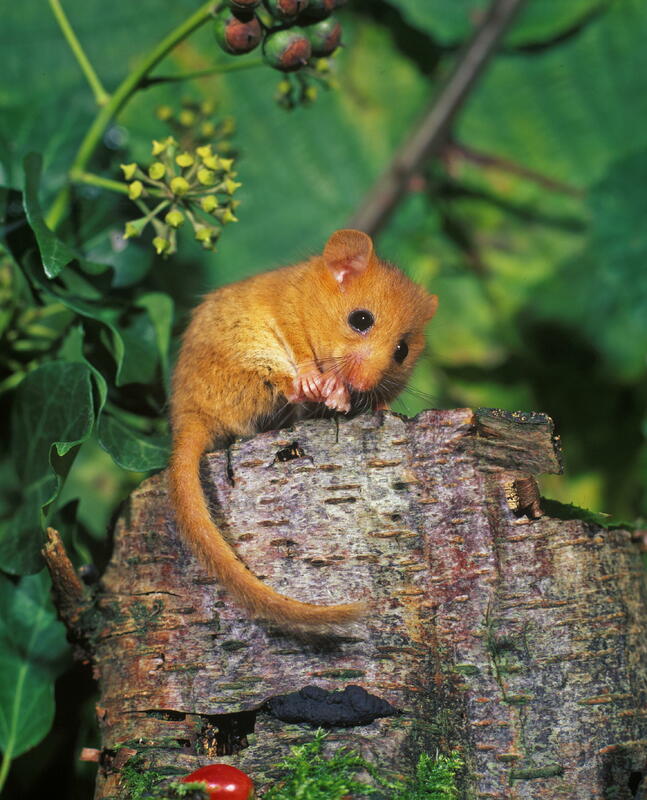 Within the county they are found quite extensively South East of the Tywi valley where suitable habitat exists. It’s less easy to find records North of this apparent barrier, but probably because the landscape is cooler and wetter, “up North”. Since they’re very difficult to actually see, the best way of looking for signs of their presence is to search for hazelnuts which have been opened in a very neat and precise way, with a circular chewed aperture at one end. Squirrels simply split hazels into two halves, whereas wood mice will frequently create caches of nuts, and the entry holes tend to exhibit a different pattern of tooth marks – difficult to explain and Jacqueline said that it did require a bit of practice to become proficient at identifying them. The pdf below has some example images to compare. Click on it to open the file. Jacqueline explained that they are protected species, and the timing and extent of any management of land where they are known to be present can be critical to their survival. So mid September to October is often the best time for hedge management, (when there will be no dependent young), and if a mix of mature and laid hedges can be achieved, so much the better. Annual regular flailing of all hedges isn’t helpful to them! 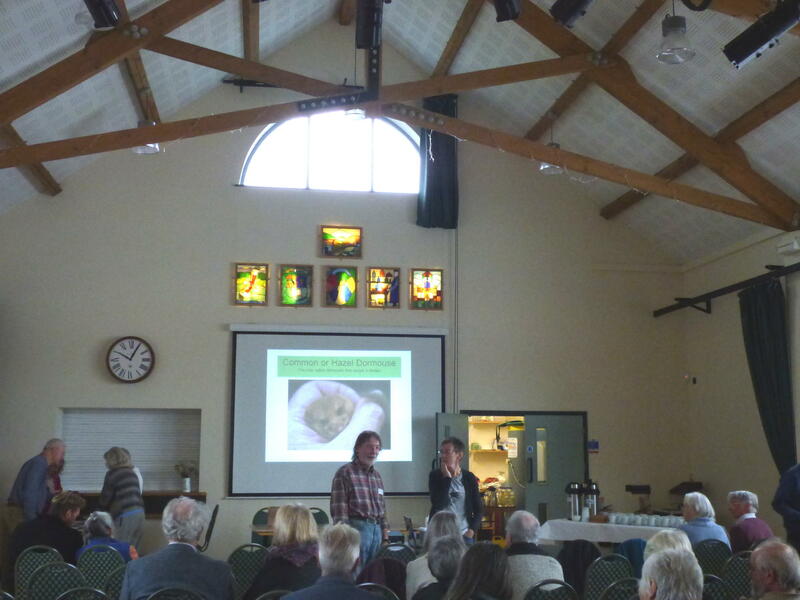 Jacqueline’s talk stimulated a lot of questions after which we broke to enjoy refreshments and a chance to inspect the hay samples brought along by a few members, together with some of the displays brought along by PONT, Butterfly Conservation, WWBIC and indeed CMG. 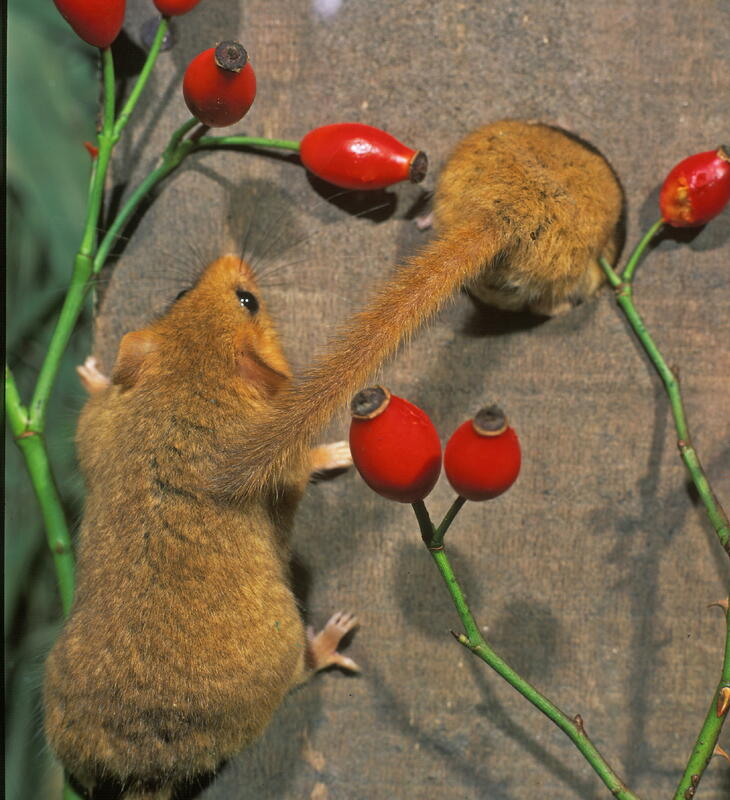 In addition Jacqueline offered to identify any hazelnuts found by members who suspect that they might indicate Dormouse activity on their land. (Either physical nuts, or a good detailed photo). After the break, Andrew introduced George Peterken who talked for an hour over a wide ranging list of meadow related topics. 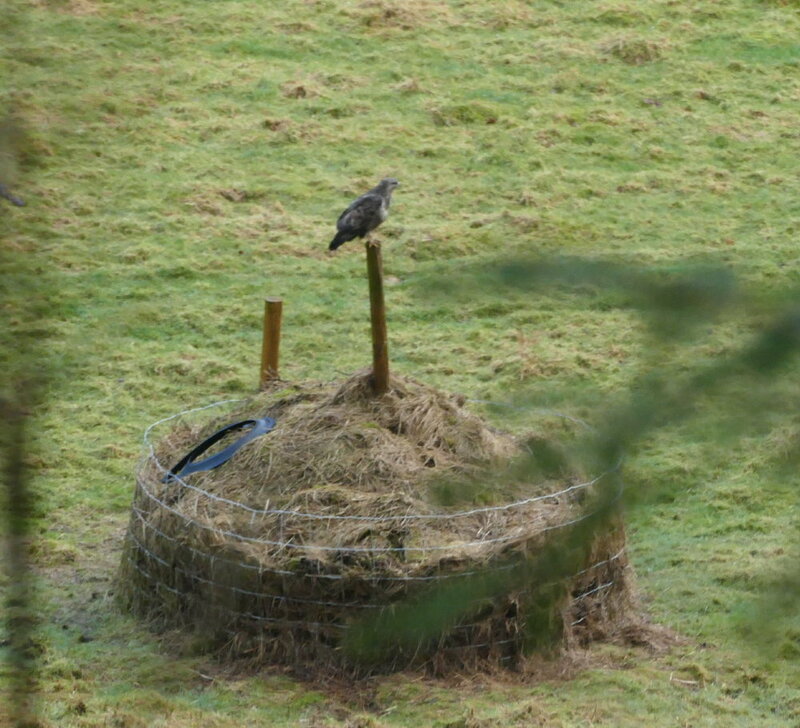 George developed his own interest in meadows, after a career as a woodland ecologist, following his move to his current smallholding in the Wye valley which included a handful of small hedged meadows. In his first summer there he found just 2 or 3 orchids growing in them. Now there are thousands. 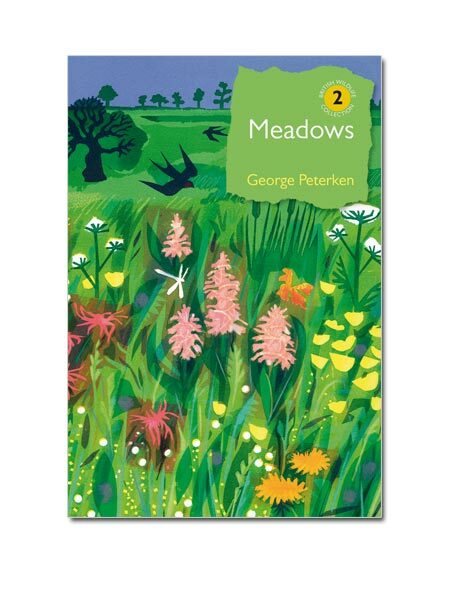 George has also written the definitive book on meadows, not just in the UK, but with an international perspective too. George explained that meadow type floral mixes do still exist elsewhere, for example on some roadside verges, clifftop margins, woodland rides and churchyards. Indeed in many parts of lowland England, these are often the only examples of this type of floral ecosystem surviving. 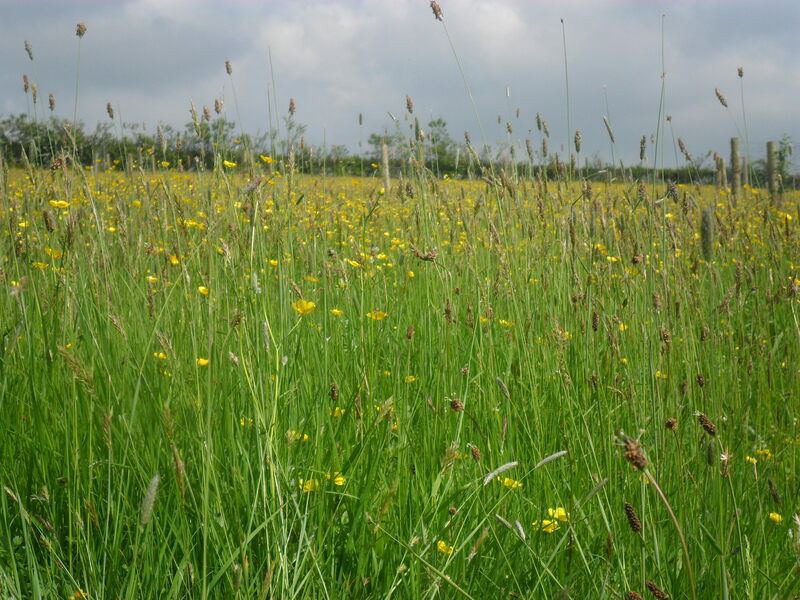 He also reminded us of his own commissioned research which demonstrated that 97% of all traditional meadows have been lost to agricultural change between 1935 and 1985. 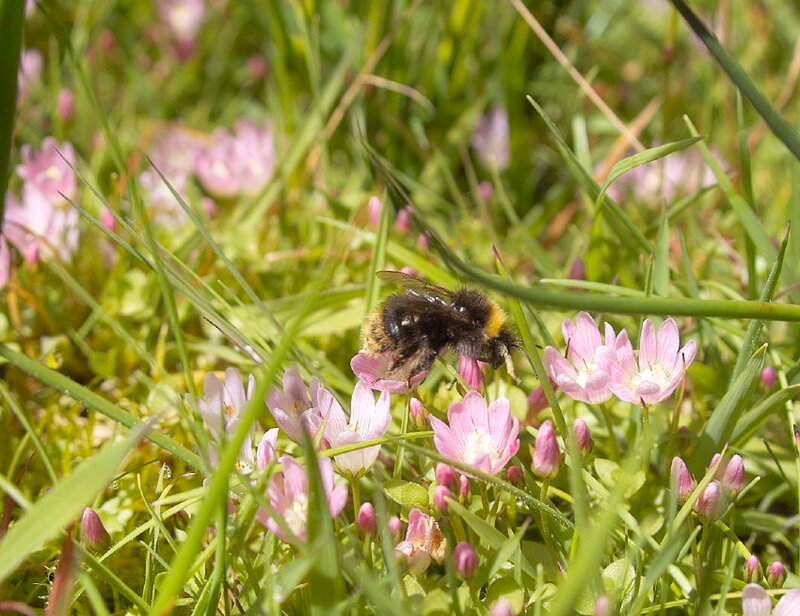 In addition, and just as worrying, was that in spite of the current recent upsurge in interest in wild flower meadows this process of gradual loss is continuing. A sobering thought. He then gave us a fascinating insight into the history of meadows and their place in art and culture dating back to Domesday times, and indeed how meadows were probably first developed as an agricultural system. 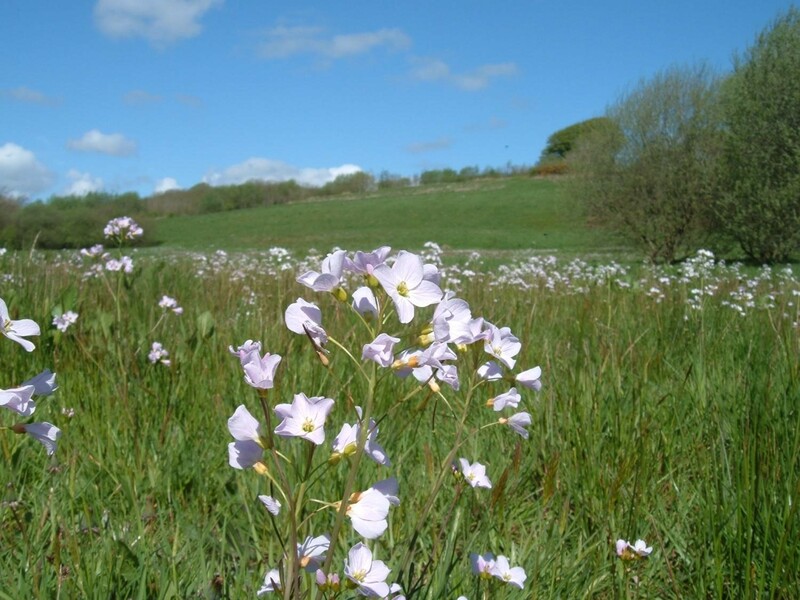 Specific examples of water meadows were also illustrated, as well as considering their role in maintaining biodiversity and in particular providing habitat for pollinating insects. 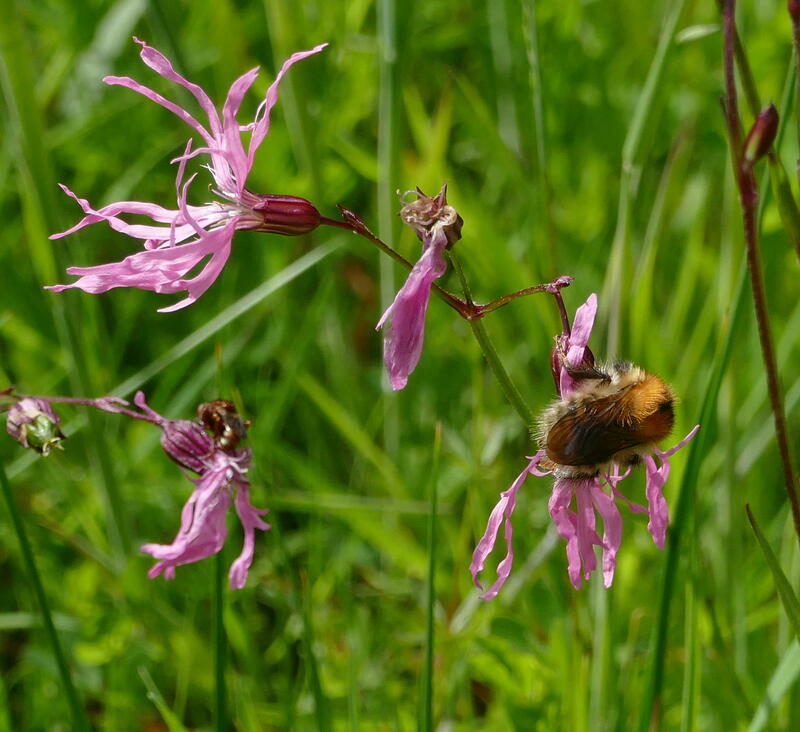 Finally he gave a review of the current upsurge in interest in restoring and preserving meadows. 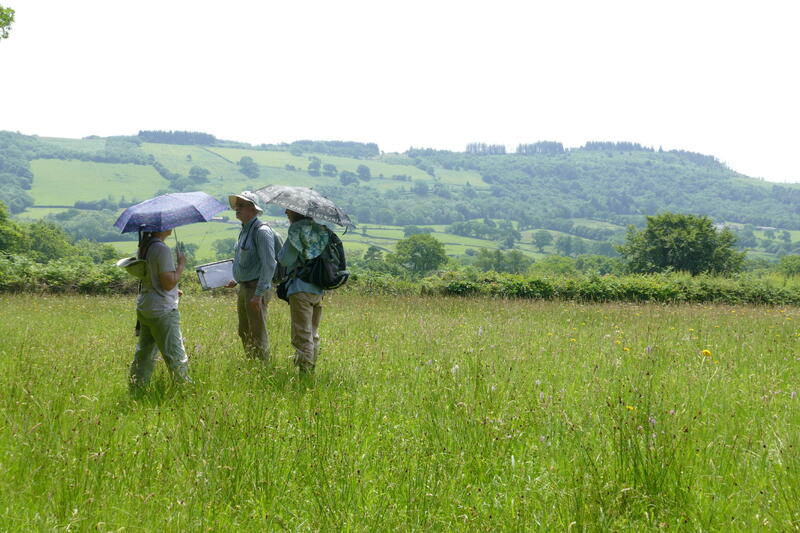 In this regard George has also been a pioneer, setting up the Parish Grasslands project in 2001, after he and a number of other local residents in the Wye Valley perceived real risks to the existence of their small meadows following both the BSE and Foot and Mouth outbreaks. For more information on this group, which was really the precursor to all the other groups set up since, click here. George finished by reviewing the development of other meadow groups since then, including our own CMG. Interestingly he contrasted the apparent greater success of groups set up by collections of motivated local volunteers, which have all evolved in slightly different ways, but seemed to be quite resilient, with some groups which had been set up after funding by a larger government agency or initiative, and which have occasionally foundered after funding, or the appointed officer, left the scene. Once again George answered a range of questions and repeated that his currently out of print excellent book on Meadows is due to be reprinted shortly. Thoroughly recommended for anyone who doesn’t yet own a copy! The meeting closed and several of us enjoyed a chat over a light lunch in the hall’s on site cafe. Many thanks to everyone who helped with organising this meeting, and indeed to everyone who attended. It’s really exciting that CMG’s paid up membership currently stands at 77, from zero in spring this year, with the website visitors currently increasing by about 50% annually, so if you’re not already following the blog, which will help to keep you up to date with the group’s activities, do click on the follow button at the base of this page. Do also tell anyone else who you think might be interested in the group’s aims about us. And if you’re not yet a member see the separate website page for how to join the group. This entry was posted in Meadow Flowers, Meadow Moths, Meadow Walks, Nature, Wildflower Meadows and tagged Carmarthenshire Meadows Group, CMG logo, George Peterken talk on Meadows, Jacquelin Hartley talk on Dormice, Species lists from Cwmdu footpath walk by thegardenimpressionists - Julian and Fiona Wormald. Bookmark the permalink. Julian and Fiona Wormald met and married whilst at Cambridge University. Shortly after qualifying we established our own veterinary practice in Bristol which we ran for over 20 years before relocating to West Wales. We have restored our derelict longhouse home and created a garden over the last 23 years, which we now occasionally open for charity, by appointment, for the N.G.S. About 7 years ago we started "The Garden Impressionists" to reflect our current ideas. Our principal gardening influences over the years have included the gardens and writings of Claude Monet, Beth Chatto, Joy Larkom and William Robinson. Incorporating some of their ideas and philosophy into our own garden, alongside our own ideas of what is important for this location and climate, has kept us physically and mentally challenged as the garden has developed.